The Design Modelling Symposium Copenhagen 2015 is proud to announce the Workshop and Master Class program. We will host four 2-day Workshops and one Master Class preceding the conference: Monday, September 28 and Tuesday, September 29, 2015. The Workshops and Master Class are open to practitioners, researchers, PhD candidate and students. The Master Class is accredited by the School of Architecture in Copenhagen and participating PhD students will receive 2 ECTS points. The participation fee is 320 euros (students) and 460 euros (professionals) including the Conference. The Workshops and Master Class examine key research questions on inter scalar modeling, behavior, and fabrication. 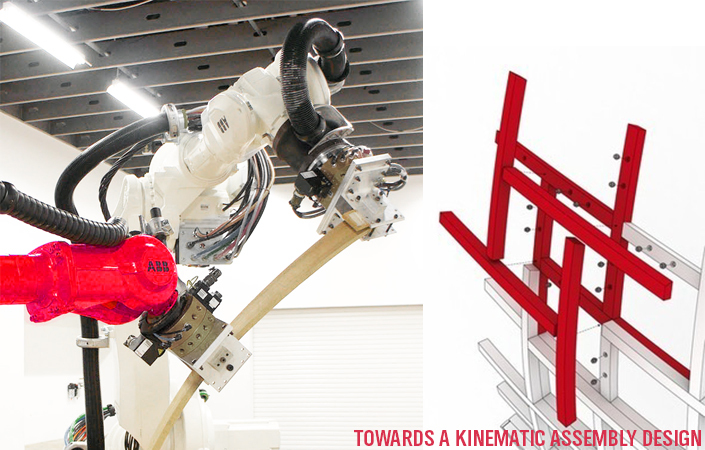 They invite leading researchers and practitioners from high profile companies and universities including KieranTimberlake, designtoproduction, HAL-Robotics, Bollinger-Grohmann, Berkeley and Harvard University to share their expertise and latest developments. The events combine theoretical and practical knowledge and provide participants with first-hand insights into state-of-the-art design modeling.